If you're searching for the perfect destination to take a holiday-themed stroll, look no further than the Wenzel Farm Christmas Fantasy Trail. The 1,000 foot trail at 19754 South Ridge Road includes thousands of lights, a singing animatronic Santa Claus and a 40-foot castle. Christmas carols play in different areas of the trail, and light-up snowman, Santas and other holiday characters, along with a seemingly endless amount of Christmas lights, illuminate the way. The family friendly path also features a series of smaller structures, many of which adventurers can step inside for additional holiday sights and sounds. There's also a maze, a pirate ship, two tunnels, a suspension bridge and several slides. Janice and Wayne Wenzel, the forces behind the spirited holiday trail, started the Christmas Fantasy Trail 25 years ago. Wayne had built houses for the couple's children to play in, which is how the trail got its start. 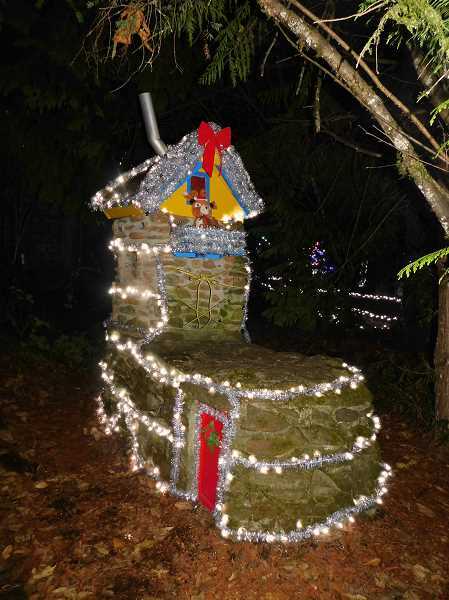 This year, the Christmas Fantasy Trail is open from 6-9 p.m. Monday through Saturday until Saturday, Dec. 30. The trail is closed Sunday, Dec. 24, and Monday, Dec. 26. Admission for adults is $6, and children 12 and younger are $5.